I first heard about Milk & Honey in 2015, when Justin Lubin, who developed the liqueur, contacted me to taste test it. Obligatory disclaimer: The bottle I’m reviewing was sent as a thank you gift from Lubin for my participation in that early stage of its development. It was good then, and it’s good now, after its release to the public. 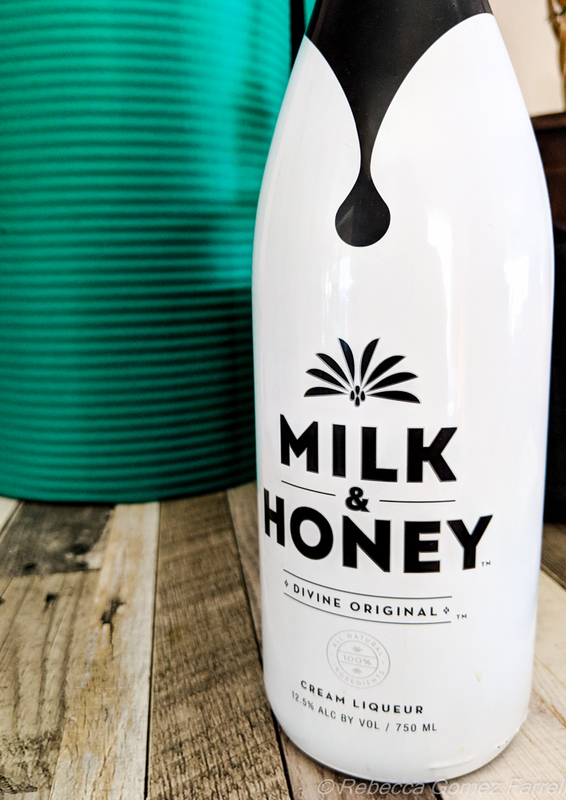 The ingredients in Milk & Honey are all-natural and simple. They consist of light cream from upstate New York, neutral grain spirits, and date honey from Medjool dates sourced from the Jordan Rift Valley. Using light cream is key, as the liqueur’s body is much lighter than the sticky sweet and thick cream liqueurs you usually find on the grocery store shelf. Don’t get me wrong, I am quite happy to drink Bailey’s, Rumchata, and all their derivatives, but Milk & Honey takes a different approach to delivering a creamy alcohol. By itself, I’m impressed by the liqueur’s lightness and the delicate sweetness the date honey provides. Almond, floral, and orange notes linger in their own delicate balance with the cream. 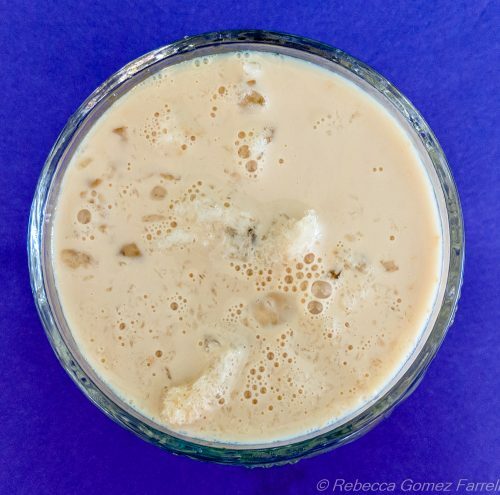 Drinking it conjures an image of crystallized sugar shaved and melted into a vat of dairy. Roll it over your tongue to unwrap its full potential. 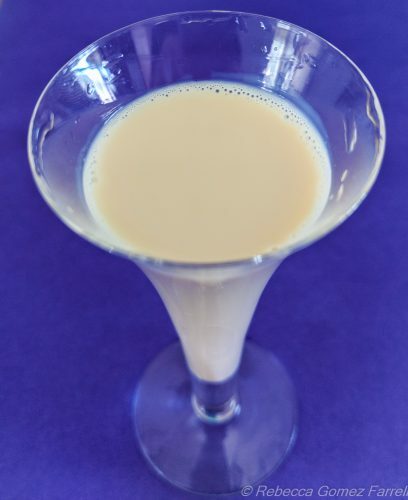 Cocktails are an ideal use for Milk & Honey. Lupin was inspired to create it after trying the traditional combination of milk and date honey during a trip to the Sea of Galilee. The Recipe of Heaven is recommended on the website as a guideline: 2 to 3 parts Milk & Honey to 1 part the spirit of your choice. I wanted to dial up the overall alcohol content a bit, as I like bite in my creamy cocktails. Inspired by the Brandy Alexander, I picked up a nice brandy and stirred it together with coffee liqueur and Milk & Honey. I served it over shaved ice . . . but as we don’t all have husbands who’ve decided they simply must have a Hawaiian ice-shaving machine, crushed ice would do nicely, or even small ice cubes. Shake or stir all three ingredients together, then pour over ice. If you have it, finely grated orange peel would make a lovely garnish. 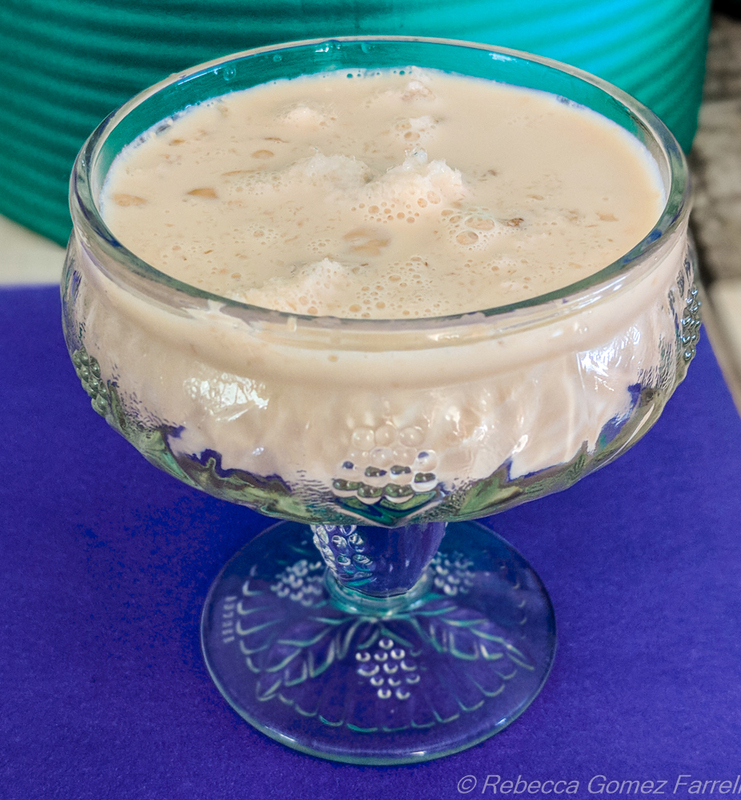 You need not use the same alcohol brands I did, but St. George’s NOLA Coffee Liqueur does add an extra layer of flavor with its chicory notes. I’d also recommend picking a brandy with nutty qualities that can help amplify the same in Milk & Honey’s profile. The bottle recommends consuming your Milk & Honey within 6 months of opening, though refrigeration is unnecessary. Well . . . the bottle I’m consuming is pushing the limit of those 6 months, as I quickly got lost in a sea of blog posts and novel writing after first opening it. It took me until now to come back around to reviewing Milk & Honey, and I don’t think this bottle has lost an ounce of appeal in the meantime. Milk & Honey is only available in retail stores in Wisconsin currently, where M&H Spirits is based. But you can buy it online! For $24 plus shipping, you can get your own Milk & Honey to experiment with or just to sip, conjuring fantasies of relaxing under the date palms of Galilee. Buy here.